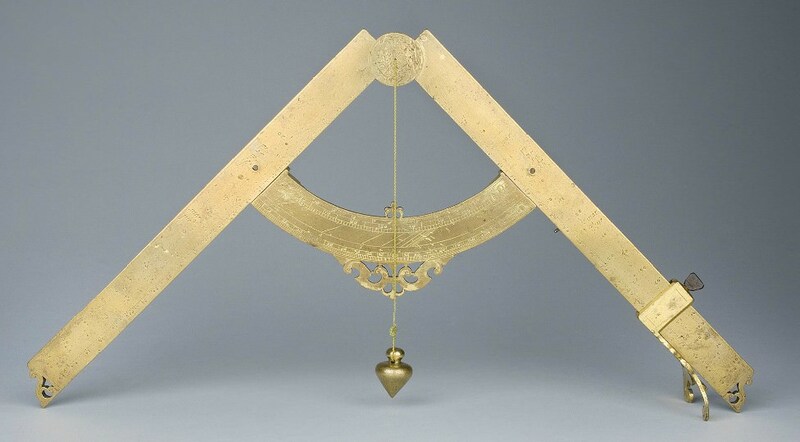 For millennia, human beings stared up at the night sky and were held in awe by the Moon. To many ancient cultures, it represented a deity, and its cycles were accorded divine significance. 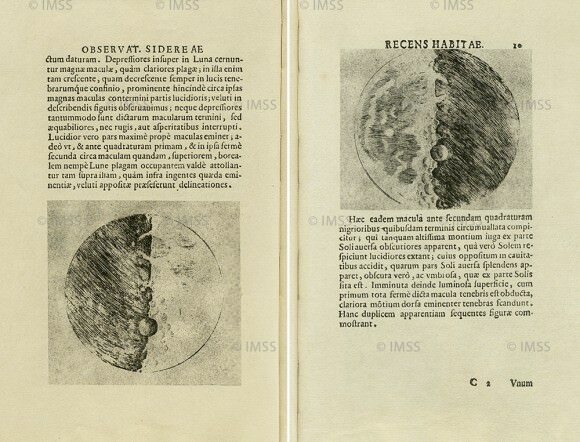 By the time of Classical Antiquity and the Middle Ages, the Moon was considered to be a heavenly body that orbited Earth, much like the other known planets of the day (Mercury, Venus, Mars, Jupiter, and Saturn). 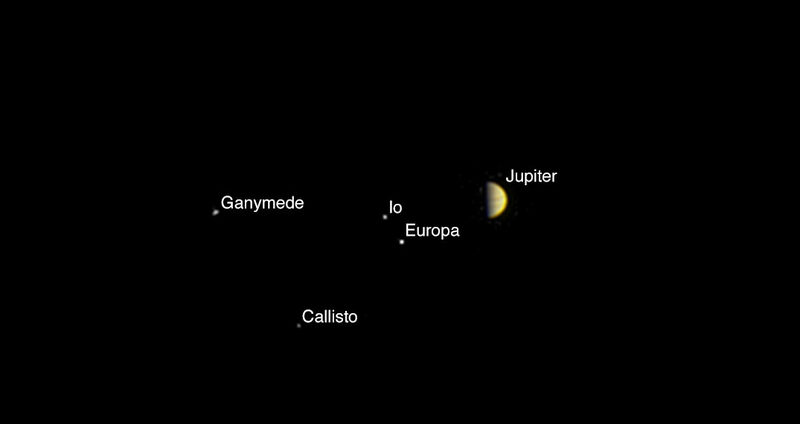 However, our understanding of moons was revolutionized when in 1610, astronomer Galileo Galilei pointed his telescope to Jupiter and noticed ” four wandering stars” around Jupiter. From this point onward, astronomers have come to understand that planets other than Earth can have their own moons – in some cases, several dozen or more. 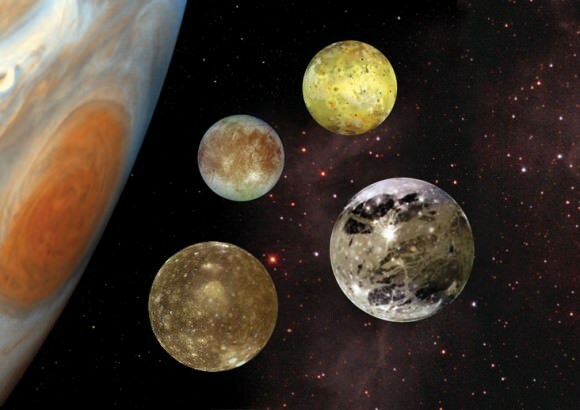 So just how many moons are there in the Solar System? In truth, answering that question requires a bit of a clarification first. If we are talking about confirmed moons that orbit any of the planets of the Solar System (i.e. those that are consistent with the definition adopted by the IAU in 2006), then we can say that there are currently 173 known moons. If, however, we open the floor to dwarf planets that have objects orbiting them, the number climbs to 182. 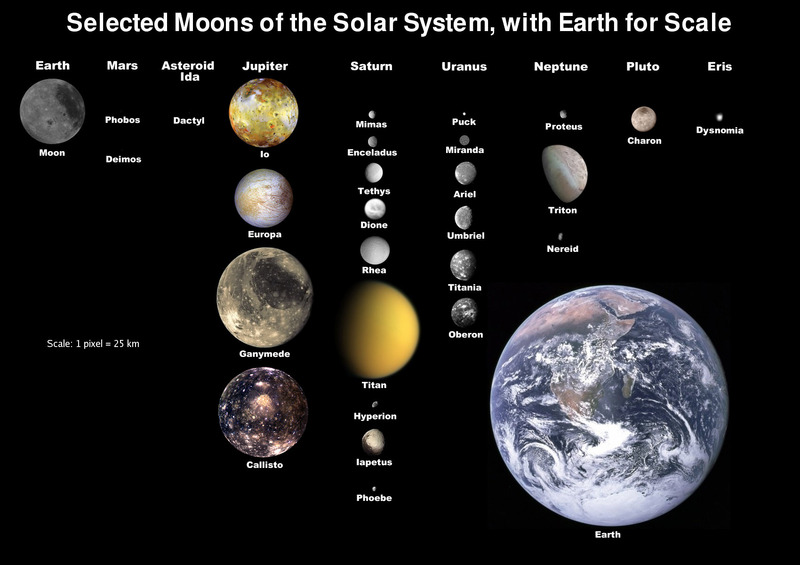 However, over 200 minor-planet moons have also been observed in the Solar System (as of Jan. 2012). This includes the 76 known objects in the asteroid belt with satellites, four Jupiter Trojans, 39 near-Earth objects (two with two satellites each), 14 Mars-crossers, and 84 natural satellites of Trans-Neptunian Objects. And some 150 additional small bodies have been observed within the rings of Saturn. If we include all these, then we can say that the Solar System has 545 known satellites. The planets of the Inner Solar system – Mercury, Venus, Earth and Mars – are all terrestrial planets, which means that they are composed of silicate rock and minerals that are differentiated between a metallic core and a silicate mantle and crust. For a number of reasons, few satellites exist within this region of the Solar System. All told, only three natural satellites exist orbiting planetary bodies in the Inner Solar System – Earth and Mars. 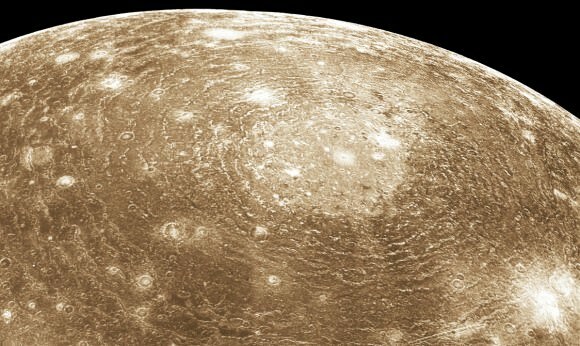 While scientist theorize that there were moons around Mercury and Venus in the past, it is believed that these moons impacted on the surface a long time ago. The reason for this sparseness of satellites has a lot to do with the gravitational influence of the Sun. Both Mercury and Venus are too close to the Sun (and in Mercury’s case, too weak in terms of its own gravitational pull) to have grabbed onto a passing object, or held onto rings of debris in orbit that could have coalesced to form a satellite over time. Earth and Mars were able to retain satellites, but mainly because they are the outermost of the Inner planets. Earth has only the one natural satellite, which we are familiar with – the Moon. With a mean radius of 1737 km and a mass of 7.3477 x 10²² kg, the Moon is 0.273 times the size of Earth and 0.0123 as massive, which is quite large for a satellite. It is also the second densest moon in our Solar System (after Io), with a mean density of 3.3464 g/cm³. 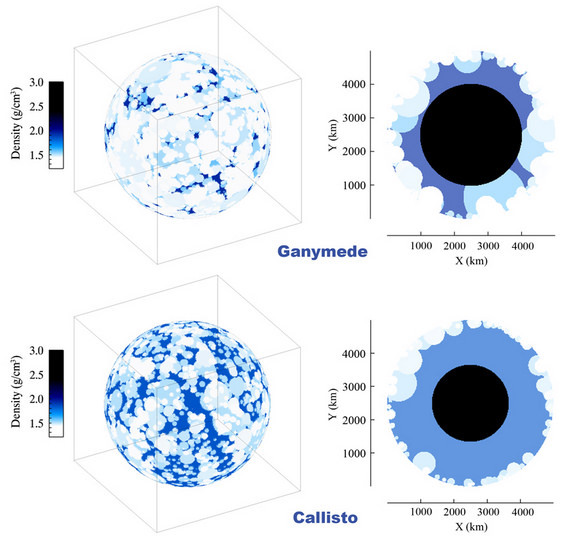 Several theories have been proposed for the formation of the Moon. The prevailing hypothesis today is that the Earth-Moon system formed as a result of an impact between the newly-formed proto-Earth and a Mars-sized object (named Theia) roughly 4.5 billion years ago. This impact would have blasted material from both objects into orbit, where it eventually accreted to form the Moon. Mars, meanwhile, has two moons – Phobos and Deimos. Like our own Moon, both of the Martian moons are tidally locked to Mars, so they always present the same face to the planet. Compared to our Moon, they are rough and asteroid-like in appearance, and also much smaller. 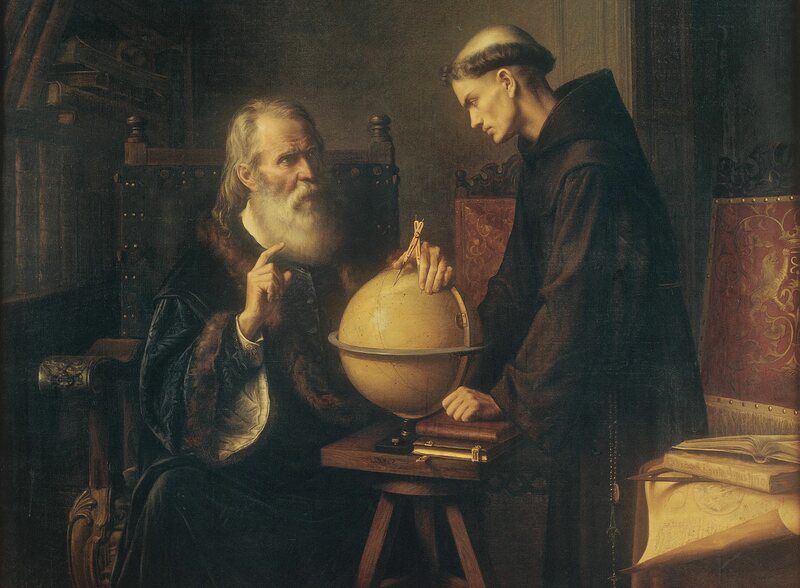 Hence the prevailing theory that they were once asteroids that were kicked out of the Main Belt by Jupiter’s gravity, and were then acquired by Mars. These three moons are the sum total of moons to be found within the Inner Solar System (at least, by the conventional definition). But looking further abroad, we see that this is really just the tip of the iceberg. To think we once believed that the Moon was the only one of its kind! Beyond the Asteroid Belt (and Frost Line), things become quite different. 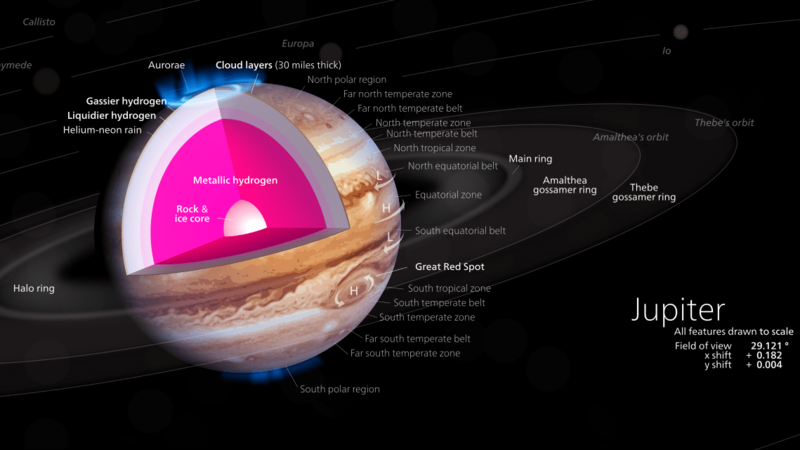 In this region of the Solar System, every planet has a substantial system of Moons; in the case of Jupiter and Saturn, reaching perhaps even into the hundreds. So far, a total of 170 moons have been confirmed orbiting the Outer Planets, while several hundred more orbit minor bodies and asteroids. 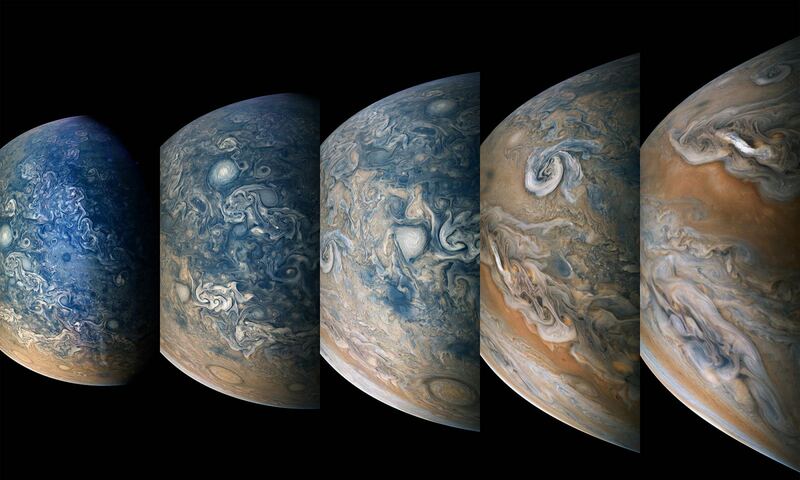 Due to its immense size, mass, and gravitational pull, Jupiter has the most satellites of any planet in the Solar System. 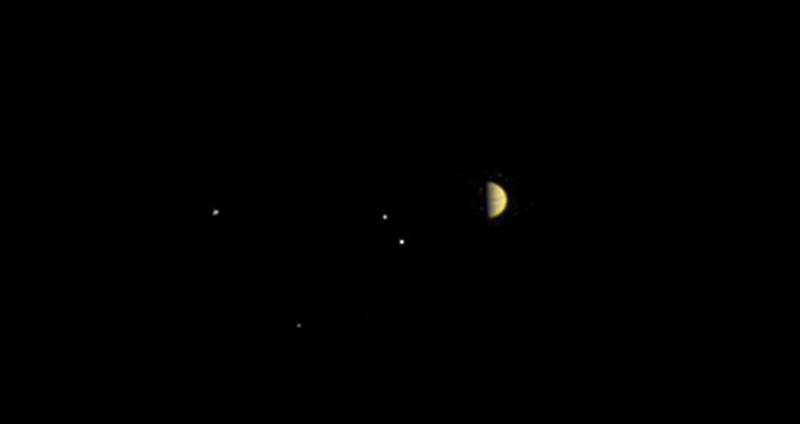 At present, the Jovian system includes 67 known moons, though it is estimated that it may have up to 200 moons and moonlets (the majority of which are yet to been confirmed and classified). 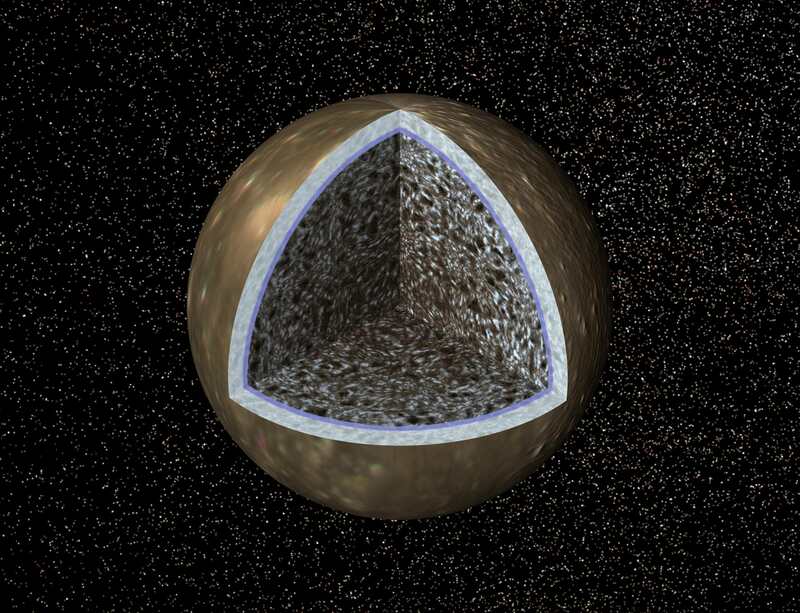 The four largest Jovian moons are known as the Galilean Moons (named after their discoverer, Galileo Galilei). They include: Io, the most volcanically active body in our Solar System; Europa, which is suspected of having a massive subsurface ocean; Ganymede, the largest moon in our Solar System; and Callisto, which is also thought to have a subsurface ocean and features some of the oldest surface material in the Solar System. Similar to Jupiter, it is estimated that Saturn has at least 150 moons and moonlets, but only 53 of these moons have been given official names. Of these, 34 are less than 10 km in diameter and another 14 are between 10 and 50 km in diameter. However, some of its inner and outer moons are rather large, ranging from 250 to over 5000 km. The Inner Large Moons, which orbit within the E Ring, includes the larger satellites Mimas Enceladus, Tethys, and Dione. These moons are all composed primarily of water ice, and are believed to be differentiated into a rocky core and an icy mantle and crust. The Large Outer Moons, which orbit outside of the Saturn’s E Ring, are similar in composition to the Inner Moons – i.e. composed primarily of water ice and rock. Neptune has 14 known satellites, all but one of which are named after Greek and Roman deities of the sea (except for S/2004 N 1, which is currently unnamed). These moons are divided into two groups – the regular and irregular moons – based on their orbit and proximity to Neptune. Neptune’s Regular Moons – Naiad, Thalassa, Despina, Galatea, Larissa, S/2004 N 1, and Proteus – are those that are closest to the planet and which follow circular, prograde orbits that lie in the planet’s equatorial plane. With a mean diameter of around 2700 km ( mi) and a mass of 214080 ± 520 x 1017 kg, Triton is the largest of Neptune’s moons, and the only one large enough to achieve hydrostatic equilibrium (i.e. is spherical in shape). At a distance of 354,759 km from Neptune, it also sits between the planet’s inner and outer moons. 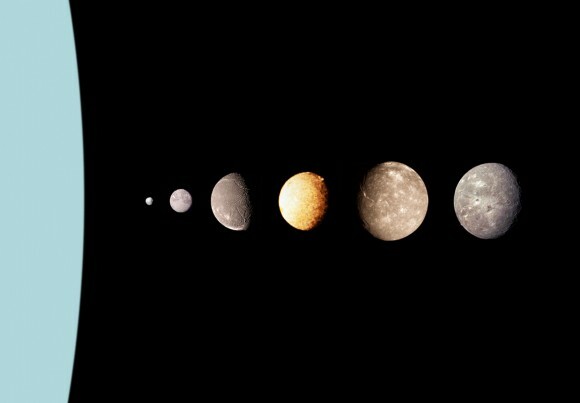 These moons make up the lion’s share of natural satellites found in the Solar System. However, thanks to ongoing exploration and improvements made in our instrumentation, satellites are being discovered in orbit around minor bodies as well. 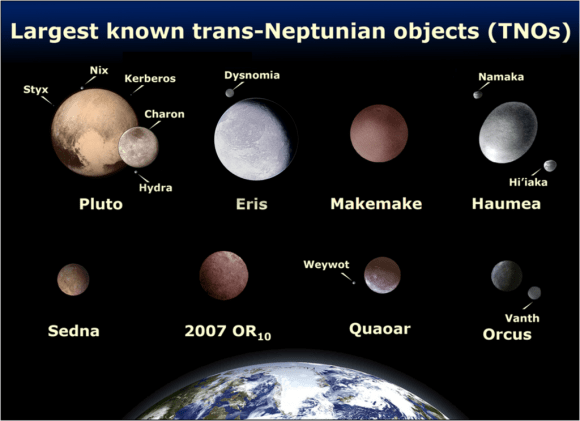 As already noted, there are several dwarf planets, TNOs, and other bodies in the Solar System that also have their own moons. 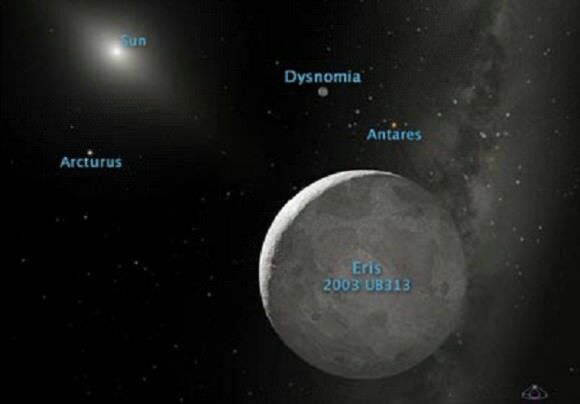 These consist mainly of the natural satellites that have been confirmed orbiting Pluto, Eris, Haumea and Makemake. 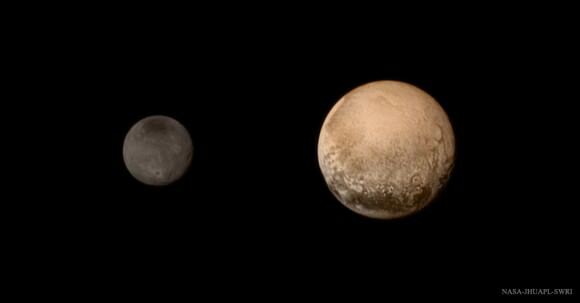 With five orbiting satellites, Pluto has the most confirmed moons (though that may change with further observation). The largest, and closest in orbit to Pluto, is Charon. 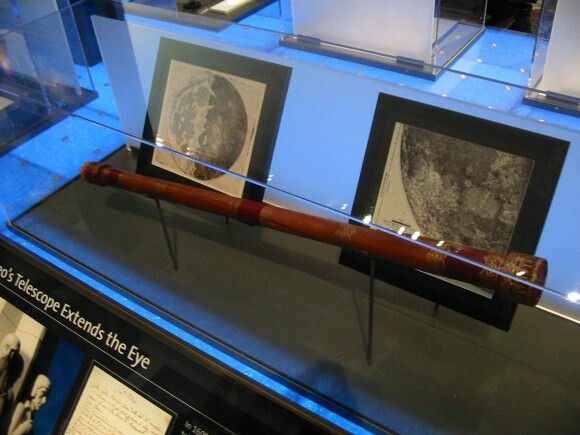 This moon was first identified in 1978 by astronomer James Christy using photographic plates from the United States Naval Observatory (USNO) in Washington, D.C. Beyond Charon lies the four other circumbinary moons – Styx, Nix, Kerberos, and Hydra, respectively. A portrait from the final approach of the New Horizons spacecraft to the Pluto system on July 11th, 2015. Credit: NASA-JHUAPL-SWRI. Coming in second is Haumea, which has two known moons – Hi’iaka and Namaka – which are named after the daughters of the Hawaiian goddess. Both were discovered in 2005 by Brown’s team while conducting observations of Haumea at the W.M. Keck Observatory. Hi’iaka, which was initially nicknamed “Rudolph” by the Caltech team, was discovered January 26th, 2005. It is the outer and – at roughly 310 km in diameter – the larger and brighter of the two, and orbits Haumea in a nearly circular path every 49 days. 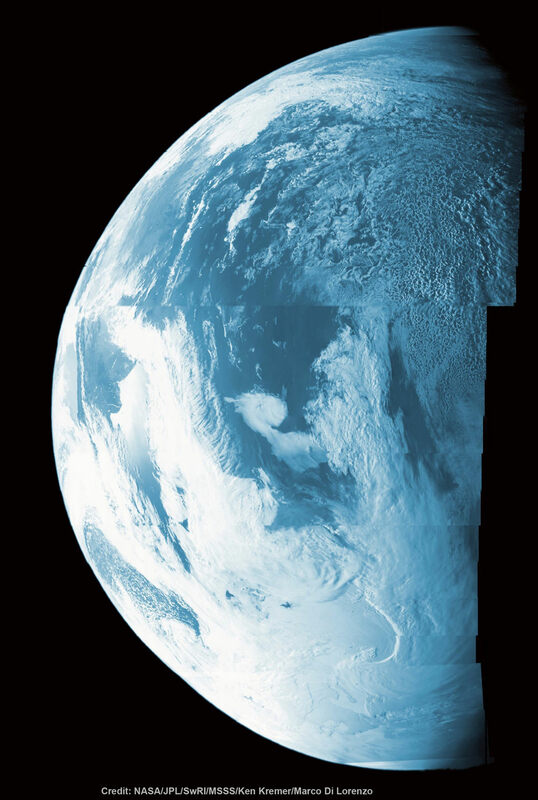 Infrared observations indicate that its surface is almost entirely covered by pure crystalline water ice. Because of this, Brown and his team have speculated that the moon is a fragment of Haumea that broke off during a collision. Namaka, the smaller and innermost of the two, was discovered on June 30th, 2005, and nicknamed “Blitzen”. It is a tenth the mass of Hi‘iaka and orbits Haumea in 18 days in a highly elliptical orbit. Both moons circle Haumea is highly eccentric orbits. 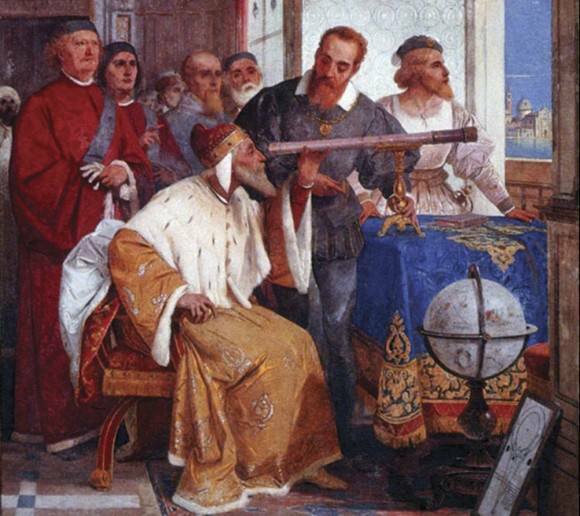 No estimates have been made yet as to their mass. 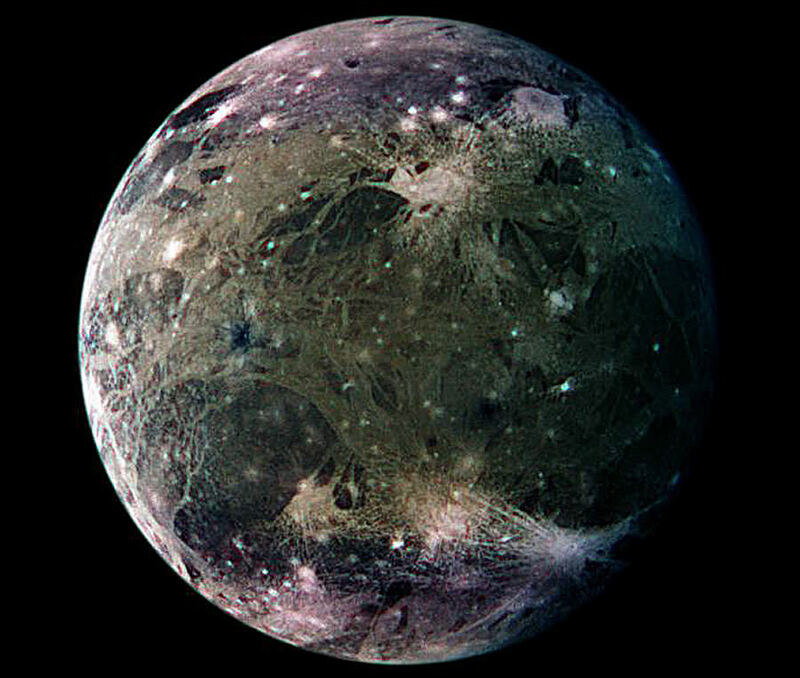 The title for largest moon in the Solar System goes to Ganymede, which measures 5262.4 kilometers (3270 mi) in diameter. This not only makes it larger than Earth’s Moon, but larger even than the planet Mercury – though it has only half of Mercury’s mass. As for the smallest satellite, that is a tie between S/2003 J 9 and S/2003 J 12. 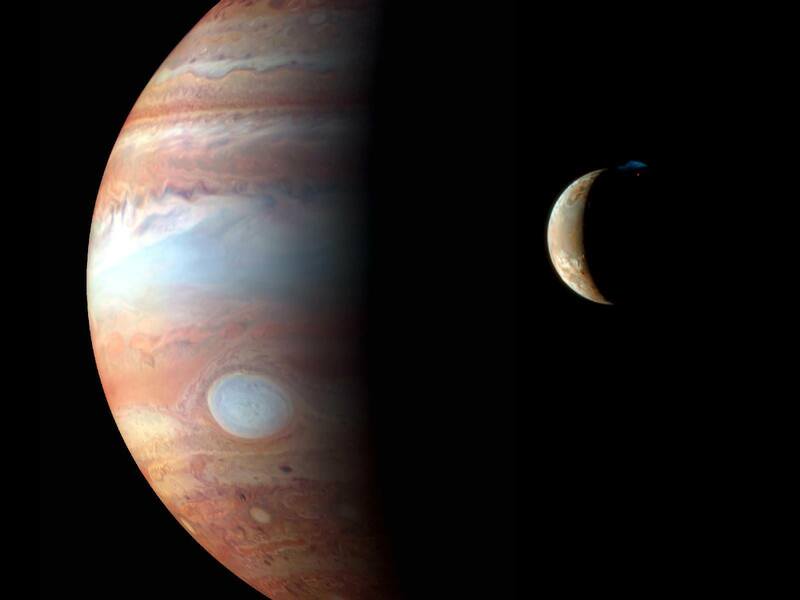 These two satellites, both of which orbit Jupiter, measure about 1 km (0.6 mi) in diameter. An important thing to note when discussing the number of known moons in the Solar System is that the key word here is “known”. With every passing year, more satellites are being confirmed, and the vast majority of those we now know about were only discovered in the past few decades. As our exploration efforts continue, and our instruments improve, we may find that there are hundreds more lurking around out there! 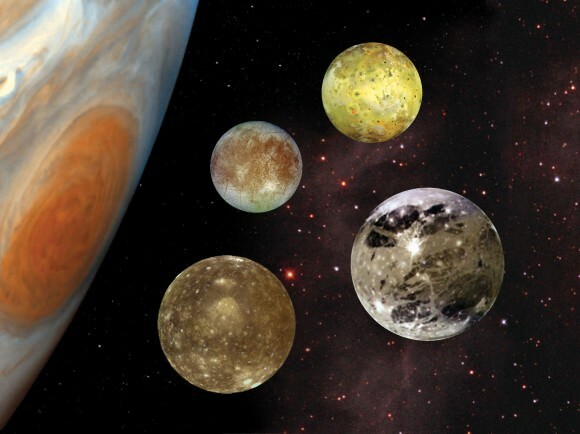 We have written many interesting articles about the moons of the Solar System here at Universe Today. Here’s What is the Biggest moon in the Solar System? What are the Planets of the Solar System?, How Many Moons Does Earth Have?, How Many Moons Does Mars Have?, How Many Moons Does Jupiter Have?, How Many Moons Does Saturn Have?, How Many Moons Does Uranus Have?, How Many Moons Does Neptune Have? 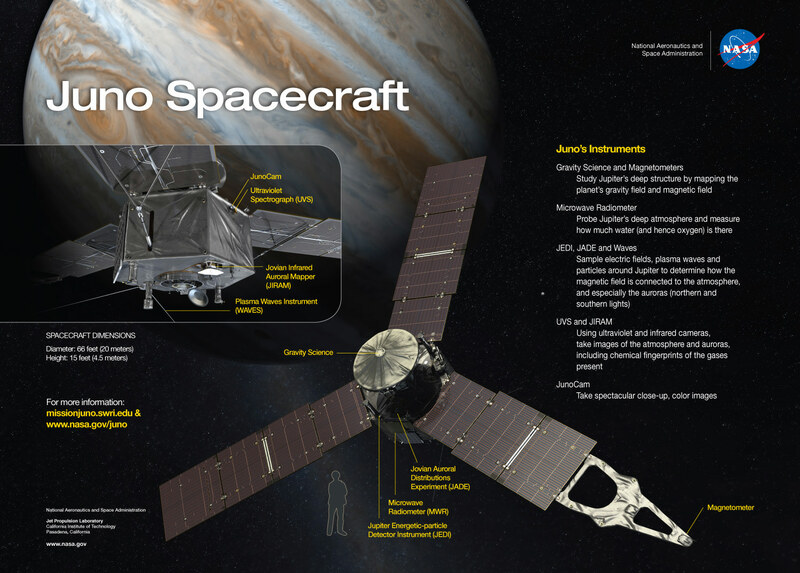 For more information, be sure to check out NASA’s Solar System Exploration page.